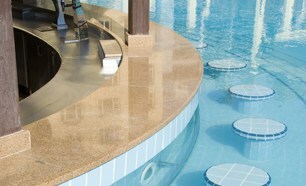 A well designed bar area, built into your beautiful backyard, can become a focal gathering spot for friends and family. Azuro incorporates bars into its beautiful backyards that blend naturally into the landscape, yet are highly practical and well appointed with built in fridge, wine and beer cooler, fully plumbed in sink and dishwasher, ice maker, storage cupboards, beer on tap, built in coffee machine and more. 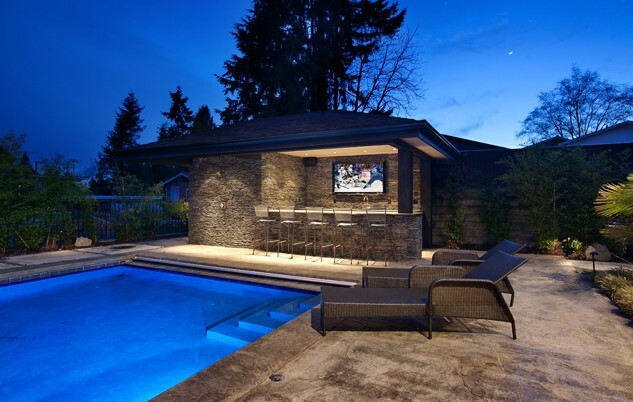 We build swim up bars or traditional bars with stools, and covered or uncovered bars; we can design and build the bar structure of your dreams. 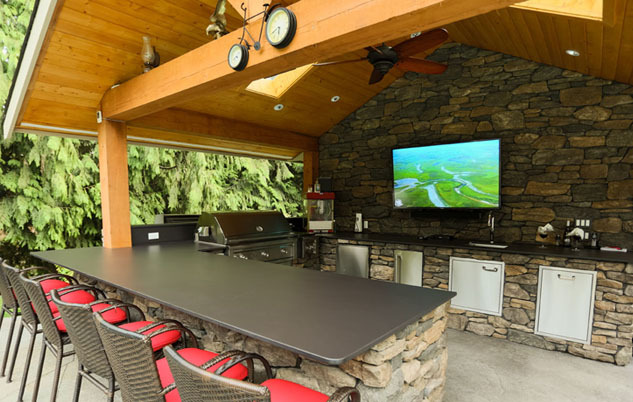 Add an Azuro well designed, fully-equipped, practical bar to your backyard design to enjoy year round with family and friends.